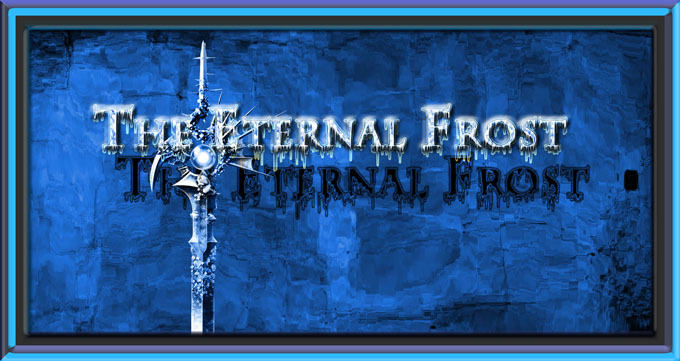 The Eternal Frost 2 Mod provides you with the ability to teleport to another dimension which is have called the Eternal Frost (Old name is the Freezer). In order to teleport there, nothing is more simple than crafting, is it? The flint and diamond create a normal nether portal filled with ice obsidian instead of obsidian. Then you can use the flint and diamond to make the portal appear. In The Eternal Frost 2 Mod, you will end up either underground or overworld in a beautiful world made of various blocks going from deeply frozen stone to freezing water, which will hurt you on touch. 83 Blocks (Without the metadata): Every block is different, and some are totally awesome. 127 Items: From simple stick to epic dungeon drops. 1 Dimension: The Eternal Frost, with a totally epic generation who goes up to layer 256. 2 Furnaces: Ice Oven which can freeze things into Eternal Frost items, Frozen furnace which can reheat them. Structures: Villages, 2 Epic Dungeons to conquer (With two mores to come soon), the caverns have been reworked to fit the mod. Epic items and armors to obtain in dungeon, totally unique. An hypothermia mechanics: Don’t let your hearth grow cold. 25 new sounds and 4 new musics. 14 achievements: To make this mod challenging. 8 Biomes on surface for an epic generation: You’ll have to discover them yourself. Lot of things aren’t in this list.